When I give speeches and keynotes around the world, from Los Angeles to London, from New York to China, I’m often asked a motivational speaker on creativity and innovation, how to turn your ideas into products or services – i.e. how to bring your ideas to life. It’s a common misconception that new ideas come right out of the blue or that they result from wildly left-field, original thoughts that no one else has ever dreamed up. Not true. First, there are more than six billion brains in the world (and even more that have been active in the past), so it’s likely that one or more of those brains may well have come up with a certain specific idea before. Second, even if an idea has indeed been thought of previously, if no one has put that idea into practice (by actioning it), it won’t actually have come to life. Most ‘new ideas’ are often not that far removed from existing ideas; they’ve just been updated in some clever way, so that the end result is different from what has gone before. And that’s what’s important – that’s what makes them ‘new’. happens over the Christmas period. So, I began to think about how I could take something already existing, a clock, and alter it slightly to give me a ‘new’ type of clock. 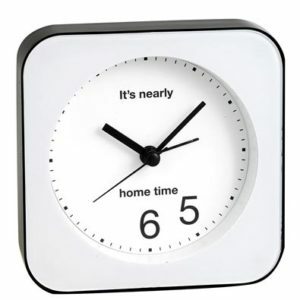 I decided to create a clock with only two numerals on the face – the five and six, and add some wording to the middle of the clock that read ‘It’s Nearly Home Time’. I called my creation ‘The Optimistic Office Clock’. The rules around us are fascinating. They’re how we humans organise ourselves at this point in time, hopefully with the aim to be ‘civilised’ or to make the system work. I often think that in a hundred years’ time, many of the rules we have today might be different. So what does that make us now? Wrong? Or just ‘doing our best’ perhaps? The important point is that when someone tells you something HAS to be done the way it is because it’s a rule, or even that it’s ‘always been done that way’, then you should see this as a wonderful flashing beacon that shows you an opportunity to be creative by producing something new that everyone else who follows the rule would never do. Sometimes, when you closely examine something that people around you – and you – believe is a rule that cannot be broken, it unravels like a cheap sweater. This technique sounds like I’m about to recommend ‘industrial espionage’. Well, not quite, no need for wire tapping or going through anyone’s bins with this one (sure you’ll be delighted to hear that). In fact, this beautifully simple, and yet rarely used method is another brilliant way of being stimulated to come up with your version of something already existing. When you’re chasing any goal, it’s easy to get completely immersed in the subject area it’s related to. 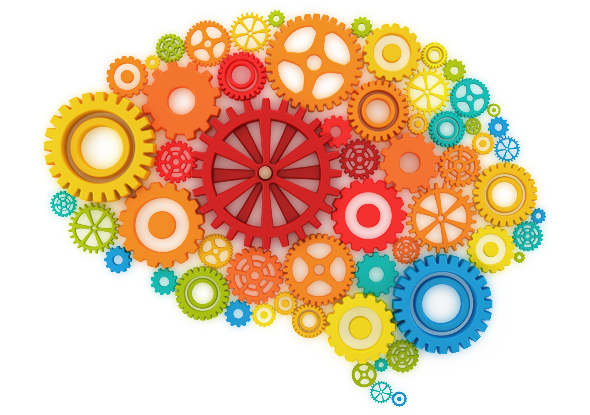 Instead, you must feed your brain with inputs that spark it to start thinking along interesting routes. Only when you feed your imagination will it flourish. With this technique, you start by looking at what other industries or people are doing OUTSIDE of the sector your goal is in, and then take their success (or failure) and use it as the basis for your new ideas. You can either take an outsider’s process, marketing idea or even product as your starting point. All that matters is that your brain is triggered by something from a source not normally found in the area that your task occupies. A very simple, literal example of this technique is when I used what was happening in the technology industry to help me dream up a new item for the gift industry. As you know, the tech giant Apple has released many successful products, one of them being the multi-million selling ‘iPad’, a product that single-handedly revolution- ised the ‘tablet computer’ market.Now, when the iPad was launched with huge fanfare, I watched with keen interest. As I saw how well it sold and watched the iPad become a global phenomenon, I began to admire this success and see if I could apply anything about its meteoric rise to the gift industry. And that’s the pivotal part to this technique – not only to identify a success from an industry outside yours, but also to give that success a little bit of thought so that you can examine the processes involved. This will be sure to help you with your ‘Eureka’ moment. 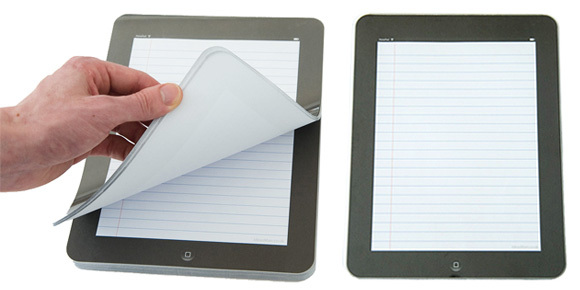 As soon as I started to think along these lines, a simple idea immediately popped into my head: I’d make a product that looked exactly like the iPad but made entirely of paper and call it the ‘iNotePad’. Not only would it be a fun gift, it’d be a functional, useful notepad, too. So, I contacted a talented graphic designer I’d worked with in the past and, after we’d agreed on the look of the new notepad, I sent the designs to China. While I was getting the first samples of the pad made, I took great care to ensure that the top of the notepad was covered with a thin clear acetate sheet, so that the finished pad would look like it had a reflective screen, just like the original object I was parodying. This principle of caring about the experience of every ‘end user’ is totally vital to success in any area, whether you’re making a novelty product, trying to get a job, finding a life partner or running a company. I read this and thought it might be something for you. The post is called How to Have Great Ideas… and is located at https://motivationalspeaker.biz/how-to-have-great-ideas/.